If you already ‘Like’ us, create a post about us on your timeline that says ‘Check out The Healing Codes at http://thehealingcodes.com. I did and______________________ ‘ (you fill in the blank) and send us the link at facebook@thehealingcodes.com in order for your post to qualify as an entry..
Each ‘day’ starts at noon ET and ends at noon ET the next day. Winners will be announced by 4PM on each ending day. For example – day 1 starts at noon on Dec 21 and runs until noon on Dec 22. The winner will be announced by 4PM on Dec 22. You can only like us once but you can post on your timeline as much as you want. Each qualified post (url of post e-mailed to facebook@thehealingcodes.com) counts as an entry. End of stuff you need to know! Even though I will probably never be on FB I am still recommending you to my friends. This is such a wonderful blessing for the planet. keep up the best work guys! The Healing Codes is right here – you don’t need to be on FB to take advantage of everything on this site – a LOT of it free. Would want nothing more to have peace & pain to disappear. Must be great to find my real me with the healing code…..
Countdown Tab? I’ve been using FB for a long time and I don’t have a clue where this tab could be??? It’s a Facebook tab – under the banner and on the right side of your screen. See the screenshot of it in the blog post. I am not on Facebook and look forward to any other contests that I might enter. I know it seems that the whole world is on Facebook and other social media, but there are a number of us who are not, for many different reasons, but who would still benefit greatly from such contests. This is the first contest – only. There will be more and probably not all of them will be on Facebook! I have lost my username i guess. I am pretty sure that I have the password correct. Any way to help? You are not registered with this e-mail address. You should be able to use it to register since it is not in the database. I was excited to see your countdown contest until I read it is only on FB. I don’t use FB…any chance you will be doing anything for the folks that don’t participate in the FB craze? As said before – this is the first contest and FaceBook was chosen. It is not the last contest and will certainly explore other ways to do them. 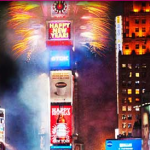 I went to your FB page and ‘liked’ it but I didn’t find the countdown to 2013 tab to enter through. What am I missing? 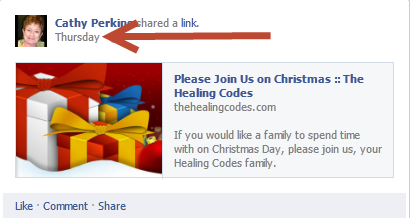 Be sure you are on the correct Facebook page – https://www.facebook.com/pages/The-Healing-Codes/139019206113843. Then look at the blog post – there is a picture of the tab. Find that close to the top and on the right side of the facebook page and click on it. What a blessing… Thank you! How are the winners being notified? This past year has been so pain &suffering all around the world. Its time to have peace & happy beginnings to all around the world. Yes – this is a Facebook contest only but there will be more, perhaps not on Facebook. And 1 person wins every day for 10 days. I followed the directions and “Liked You” on Facebook, but there was no spot available to go in and enter the contest. I’ve now lost the ability to do it this way since I’ve already “Liked You”. Any suggestions? Read the blog post and follow the instructions – if you already ‘liked’ The Healing Codes there is an alternative way to enter. Are the winners notified by e-mail…..or how?? Winners are announced on the Facebook page AND by e-mail! Yes, facebook is only way. It is so wonder that I dont have any words to define how i have been feeling. Not fun…don’t like being directed to have to use facebook! You are not being directed to do anything. This is a contest on Facebook. If you choose not to be on Facebook that is fine – you don’t HAVE to use Facebook. I tried to sign up on the Countdown button but it didnt seem to go through! Others are signing up through the Countdown button with success. What do you mean it didn’t go through? Did you get an error message? One more thing – you can only Like the page once. So if you already ‘liked’ it you’ll need to use the alternate – post to your timeline and send the link in an e-mail. Details are in the post. Yes – this will be solely on Facebook – starting Friday at noon Eastern. So if I am not on FB and I am not; you are saying sorry Maura, you can not enter. For this contest – yes. It is a Facebook contest. There will be others – perhaps not on Facebook. Do I have to be on face book to apply, for the new year contest?